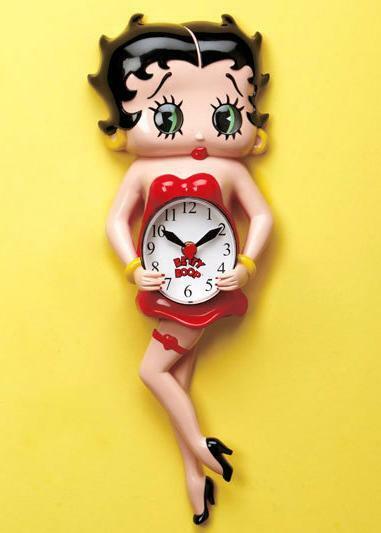 This Betty Boop Animated Clock is perfect for cartoon lovers of all ages. Reminiscent of the clocks popular in the 1950s, this updated design adds playful retro style to your decor. 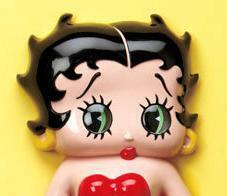 Betty moves her eyes back and forth while her leg swings seductively. Requires 2 "AA" batteries. Comes ready to hang with a keyhole on the back. Plastic. 16" x 7" x 2-1/2". Playfully animated features bring your walls to life! 16" x 7" x 2-1/2"
© 2010 King Features Syndicate, Inc./ Fleischer Studios, Inc. ? Hearst Holdings, Inc., Fleischer Studio, Inc.